Kazakhstan is using mail delivery drones for the third year in a row. In 2018 Kazpost JSC delivered 11,000 kilograms of newspapers and magazines via drones. In total, the delivery drones spent 460 hours in flight and flew more than 74 thousand km. “In 2017 Kazpost announced the launch of the project for the delivery of periodicals to rural post offices by the alternative type of transport - drones. I should say this project was successfully accomplished last year”, Saken Sarsenov, Chairman of the Company, told. In 2017 for the first time ever, postal drones transported 1,150 kg of newspapers and magazines and flew 16 thousand km. In 2018 Kazpost increased these figures tenfold. This project can cover up to 150 villages in the regions of Almaty, Zhambyl, Karaganda, Turkestan, East Kazakhstan, and Kostanay. Kazpost used 20 drones, each with a carrying capacity of two or four kilograms. 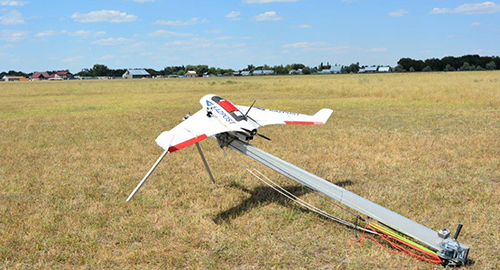 Postal drones are also manufactured in Kazakhstan by the Adrome Automation Company. “We use the service model of cooperation in which Kazpost JSC doesn’t buy the drones but pay for each flight. It’s very efficient, because there is no need to hire additional staff with the necessary skills to fly the drones and we do not need to pay for drones' maintenance”, Mr. Sarsenov said.